This publication seeks to explore in depth the Nine Pillars of Greatness written by the course leaders of the Going for Great programme. It considers the range of characteristics that define great schooling, from a school's values and ethos, leadership and teaching to its curriculum, approach to professional development, learning community and ongoing self-evaluation. 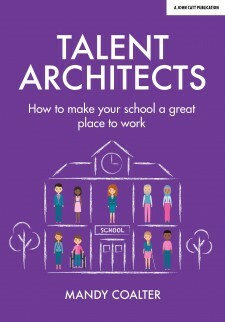 What makes a school great? Studies into good schools are numerous, but there has been much less written about great schools. The former are more common, but with success comes complacency; good is the enemy of great. In 2009 the London Leadership Strategy established the Going for Great programme, creating a forum for leaders of schools rated `outstanding' by Ofsted. This collaboration sought to identify and share best practice; based on their case studies, school-to-school visits, the research literature and through seminar, debates and discussions, a model of great schooling has emerged. 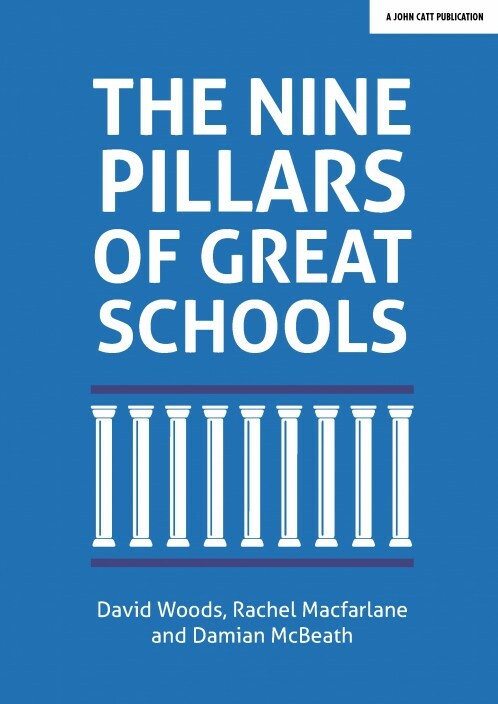 Supported by a wealth of academic pedagogical texts and written by three authors who have spent their lives in education, The Nine Pillars of Great Schools examines the commonalities between the most successful institutions and demonstrates how to transform a good school into a great school. Professor David Woods, CBE was the Chief Education Adviser for the City of Birmingham before joining the Department for Education in England as a Senior Education Adviser working closely with Ministers to develop educational policy and subsequently becoming Head of the Department's Advisory Service. He joined the London Challenge programme from the beginning as the Lead Adviser and then became the Chief Adviser for London Schools and the London Challenge. He has written and spoken extensively on educational leadership, on school improvement, and related education matters. Currently he is an Education Consultant working with schools, local authorities, Multi- Academy Trusts and Teaching Schools, as well as being a Visiting Professor at Warwick University and at the Institute of Education, University College, London. He is also the Chair of the London Leadership Strategy and the Chair of the Birmingham School Improvement Advisory Board as well as being a member of the National Education Commission for Wales. Rachel Macfarlane is the Director of Education Services at Herts for Learning, the largest not-for-profit school improvement service in the country. From 2007 until 2018 she was a National Leader of Education, serving as headteacher of three contrasting schools over a 16-year period. In 2011 Rachel joined Ark Schools to set up a new coeducational, all-through academy for 4- to 18-year-olds in Ilford, East London. This was judged by Ofsted to be outstanding in all areas in 2014 and the founding cohort gained GCSE outcomes in 2017 which placed the school in the top percentile for progress. Since 2009 Rachel has been project director of the London Leadership Strategy's Going for Great (G4G) programme, which involves working with leaders of outstanding schools to share good practice and produce case studies for dissemination to London schools. She also led the Good to Great (G2G) programme from 2010-14. She is a director of LLS. Rachel is a senior lecturer at the Institute of Education. From 2016-18 she served on the headteacher board for the regional schools commissioner for the North-East London & East of England region. Damian McBeath was the founding headteacher of Ark Conway Primary Academy, the first free school to be designated `outstanding' by Ofsted and described by former Secretary of State for Education Nicky Morgan as `an engine for social mobility' and by her predecessor Michael Gove as `truly excellent; a brilliant school with inspiring teachers and leaders'. Damian has worked as an executive headteacher and is now a regional director for Ark Schools overseeing their London and Portsmouth primary schools. In 2014 Damian was named by the Education Foundation as one of their Educational Reformers of the Year for `inspiring and collegiate leadership and nationally acknowledged achievements for pupils in a new school'. In 2016 Damian was part of the Department for Education's ITT Behaviour working group responsible for producing Developing behaviour management content for initial teacher training (ITT). He has been a course leader for the G4G programme since 2015 and feels fortunate to have worked with so many inspirational leaders in education.